There isn’t a business owner out there who doesn’t want to reach more people; either online or at craft shows. And marketing is the way to do it. Marketing is also the step between creating a product and getting paid for it. 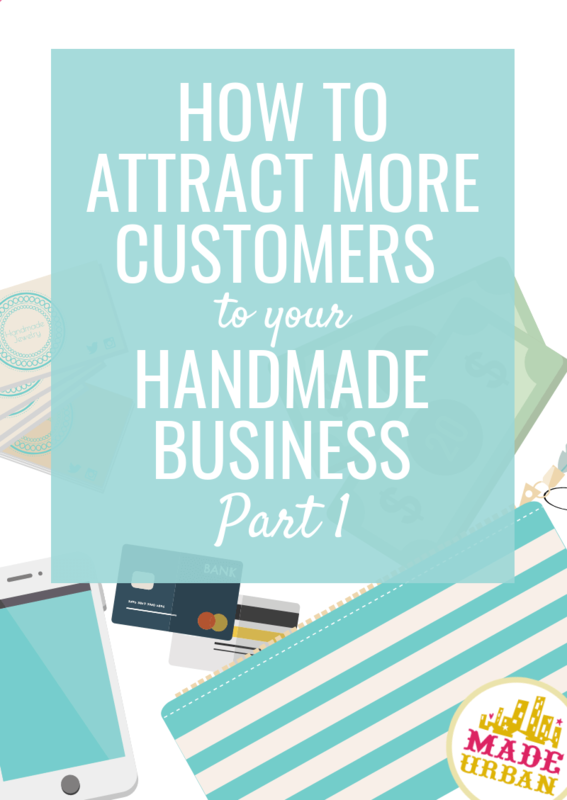 It’s the step I think most handmade business owners get frustrated with. And that’s because business owners are usually looking at marketing independently from the rest of their business. Why aren’t people paying attention to my Facebook post? Why aren’t more people coming to my craft show booth? But what comes before and after your marketing has a direct impact on how effective your marketing is. Let’s think of each of these three steps as a gear. They don’t spin separately; each is reliant on the other to continue spinning. And if one stops, it stops the other two from spinning too. You can’t just make a great product and expect to sell; people need to hear about it (market) and have a way to buy it (sell). You can’t market if you don’t have something to promote; you need to create a product first and have somewhere to direct people to buy. You can’t build a website or set up at a craft show if you don’t have a product to sell (create). And you can’t sell to anyone if you don’t attract them to your website or craft show booth through marketing. Each step/gear is reliant on the others. But based on the gear system above, you can’t just look at one area of your business when trying to attract more customers; you must address all three (create, market, sell). Which is great to understand, but where do you start? To figure out how to encourage more people to buy from you, you must first know why they buy. We’re going to look at three factors that must be in place for someone to buy. Then we’ll look at how each factor impacts each step in the process (create, market, sell). The three buying factors will be shared over three articles. Today I’m sharing the first factor, and next week I’ll share the second, and in two weeks I’ll share the third. If you’re not already a subscriber, join here to be sure you’re notified when these articles are released. Stop and really think about that for a second. Write down a few reasons you buy, or things that must be in place for you to make a purchase. I’ll be sharing 3 very common factors in these articles, but you may have your own specific reasons for buying, which is important to uncover because you’re likely targeting a customer who’s similar to you. Think general about why you buy any type of product. And then get specific about why you buy the type of product you’re selling. Once you’ve come up with your list, dive into factor #1. People don’t buy from a business they don’t like…unless they’re forced to because that business is their only option (but that’s not what we’re going for here). We don’t make products, create social media posts or build websites or craft show booths we think people WON’T like. But the reality is; not everyone is going to like your work. The products you make will never appeal to everyone. The content you post to Facebook will never interest everyone. The design of your Etsy shop or craft show booth will never please everyone. And the downside of trying to please everyone is that it leads to pleasing no one. If you get specific and aim to please a specific type of customer, they’re more likely to like what they see and pay attention to your marketing, visit your online or offline store, and buy multiple products. Now let’s look at how we can apply this to each step of business (create, market and sell). Let’s start with an example and then see how you can get more people to like what they see in your business. We’ll use me as a customer example for a popular category of handmade products: jewelry. I like jewelry. But you can’t just put any type of jewelry in front of me and expect me to buy; I must like what I see. *This is why you can’t just say; “my ideal customer loves jewelry” You must get specific because nobody loves every type of jewelry. I love a classic, laid-back look (think Jennifer Aniston or Kate Hudson). The type of jewelry that fits my style (and that my accessory drawer is full of) is gold colored jewelry that’s a little oversized/bold but has a classic feel; boyfriend-style watches, chunkier but simple gold rings, delicate but oversized hoops, etc. I own a few pieces that don’t fit that description but the majority do. Now imagine two businesses selling jewelry, we’ll call them BUSINESS A and BUSINESS B.
Let’s take a look at their differences in products, marketing and selling to see how it might impact sales. Here’s how you can work on step one (create) of your business, to appeal to buying factor #1: they like what they see. If people like what they see when it comes to the products you make, your marketing is going to be more effective and you’ll see more sales coming through your sales channels. BUSINESS A – creates a variety of lovely jewelry. They have a couple of classic-looking, oversized gold pieces and the rest is a mix of dainty silver pieces, pieces dripping in rhinestones, turquoise bohemian-style rings, feather earrings and glass blown pendants. BUSINESS B – only creates pieces in gold that have a classic-style and tend to be oversized or bold. If I see a piece of jewelry sold by BUSINESS A that I like, I may buy that one piece. But if every other piece doesn’t fit my style, I won’t add other items to my cart and it’s unlikely I’ll be back to buy more. Zero opportunities for cross-sells or up-sells. If BUSINESS B has several pieces I like, I may end up buying more than one item in my first transaction. I’d also be interested in staying up to date on other pieces they create and signing up for their newsletter or following them on Instagram, which creates more opportunities for me to become a repeat customer. LESSON: Consider if your products are appealing to a specific person who will like almost everything they see in your shop. Will the customer who buys product A also love product B, C, and D? People really don’t hop from one style to the next. We’re either a classic-timeless-jewelry kind of gal or follow-the-trends kind of gal. We don’t usually like both styles enough to have equal amounts in our collection. Our home is either filled with eclectic décor pieces or contemporary, but not an equal mix of both. You must know who your customer is and what they’re passionate about (or which problems they need solved). I touch on that in my free 5-day email course BEAT LAST YEAR’S SALES. Join for free here. Then, create products that follow that style and ensure: when a potential customer is looking at your pieces in your online store or at a craft show, they like everything they see (not just one or two items). Here’s how you can work on step two (market), to appeal to buying factor #1: they like what they see. If I’m on Instagram and come across the one gold, oversized piece of jewelry BUSINESS A carries, I may decide to like and follow their account. But if week after week I see piece after piece that’s not my style, I’m not going to visit their website or a craft show they’ll be at, like their posts, and I may even unfollow them. Or, perhaps one post is sharing tips on caring for jewelry, the next is about their kids, an inspirational quote is thrown in there, the following post shares a new product and then the next shares a photo of their favorite Starbucks drink. Not really what I was hoping for when I decided to follow a jewelry business. If one of BUSINESS B’s pieces catches my eye, I may also follow them. But their entire feed will be full of pieces I love so I’ll continue to follow, because I always like what I see. Maybe they throw some non-promotional posts in there but they always follow the theme of “laid-back” and “classic” and share: a celeb look of the week and how to mimic it, how to clean jewelry using products you have in your kitchen, how to simplify and organize your jewelry, etc. I’m more likely to “like” their posts, share their posts, comment, or tag someone else I know, which helps them with their marketing. They also have a better chance of me eventually heading to their website or visiting them at a craft show. LESSON: Everything you share through your marketing (e.g. posts to social media, newsletter emails, blog posts or guest blog posts, story ideas in press releases, etc.) should appeal to your specific customer; just like all your products do. We get too much information thrown at us in a day. If we sign up for a newsletter with expectations to read about one thing and end up receiving several emails covering something else, we’re going to unsubscribe. If we’re seeing post after post that doesn’t interest us from a business on social media, we’re going to unfollow. Make sure your potential customers like the majority of what they see when it comes to your marketing. Need more ideas on how to market? 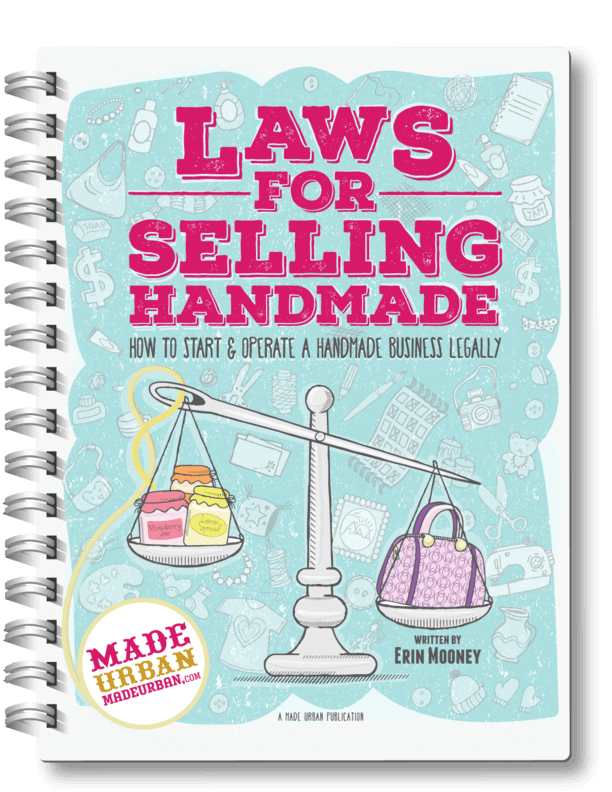 You’ll find them in HOW TO SELL HANDMADE BEYOND FRIENDS & FAMILY. It covers the different marketing channels handmade businesses can use, marketing methods, and how funnels play an essential role in marketing. Here’s how you can work on step three (sell), to appeal to buying factor #1: they like what they see. If I like a product in BUSINESS A’s Instagram feed, follow a link to their website and find the look of their website doesn’t match the look of the product I love, and neither do the other pieces they have listed in their shop, I’ll likely hit the back button. The website design may look unprofessional or like it’s from another era, fonts and colors may look outdated or even too trendy to fit the feel of the classic gold earrings that caught my eye. Their home page may be showcasing a photo of a piece that looks nothing like the one I saw, which may make me wonder if I’m in the right place. On the other hand, if I head to BUSINESS B’s website and see the style of it is in line with the piece of jewelry I love, I’m going to click around. They may carry the “classic” style into their sales channel (website) by using a classic-styled font, black, white and grey colors, or they may even use a model who has similar hair, makeup, and style as Jennifer Aniston. They could keep the vibe going by photographing their pieces worn with jeans and a classic white t-shirt or a classic black dress, as opposed to being worn with trends, office attire, or retro dresses. Their product descriptions would paint a picture of how a piece could be worn, where it might be worn, point out the quality of it, etc. Because I like everything I see on their website, from the colors and font to the photos and description, I’m more likely to continue moving forward and become a paying customer. LESSON: Make sure people aren’t thrown off when they leave your marketing platform (such as your Facebook page or Instagram profile) and land on your sales platform (website, Etsy shop, craft show booth, etc. ); does it have the same, look, feel, and vibe? The same idea applies to every area of your business; the look and feel your customer is drawn to must be consistent. This is your brand and you must think about it for every touchpoint of your business. A touchpoint is any way people interact with your business; emails, social media, photos, signage at a craft show, packaging, etc. They’re all leaving an impression and they should all be leaving the same impression. Brand, how to define yours, how to communicate it and where to communicate it (touchpoints) are also covered in HOW TO SELL HANDMADE BEYOND FRIENDS & FAMILY. Sorry, but I don’t relate to Justin Bieber’s wife. And that classic, sophisticated vibe the jewelry gives off is ruined by the way the sales associate speaks. Every aspect of where and how you sell must appeal to your specific customer. Getting mixed messages from any area of your business makes shoppers question A business’ merit. Imagine finding the perfect shirt in a store. You feel it represents your style perfectly and the store’s brand is a good reflection of you: it’s young, trendy and sophisticated. Then you look around and see several pieces you would never wear; they look more like your grandma’s style than yours (not that there’s anything wrong with grandma’s style…it’s just not yours). Now you’re questioning; is this store actually young, trendy and sophisticated? Or is it somewhere your grandma shops? We tend to support businesses that stand for the same values we stand for, resonate with our style, personality, etc. and ones that do so wholeheartedly. So knowing who your business is targeting, what they stand for, their exact style, etc. and focusing everything about your business towards that, can help bring more customers. You need to look at each area of your business and ensure the customer you’re targeting is certain to like what they see. Next week I’m going to cover another factor that must be in place for someone to buy and how you can use that knowledge to further improve the three areas of your business. Did you find this lesson helpful? Another great post. Frames things extremely well, and has me reassessing what I want to work on and how I want to present it. Thanks! Bravo! Excellent info gearing me up for when I finally do open the doors to my biz. Thanks for the gem. Cheers!! I am new to this business, and am learning so much. Thank you for your generosity in affording this information to all. I appreciate all of the great tips you share. When I offered less I made more “Best Tip” I applied thus far. Thank again! Thanks for sharing your excellent article on attracting more customers to your homemade business. It is obvious that you know what you are writing about. I also like the way you explain everything so that anyone can understand. Great job! Another great article. I definitely will be rethinking what I make and narrowing that down instead of trying to be all things to all people.